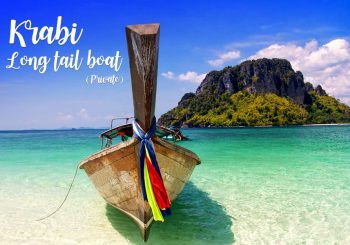 Long tail boat krabi :: The most famous travelling trips in Krabi are sea tours. Boats are the means for tourists to travel to islands and beaches. 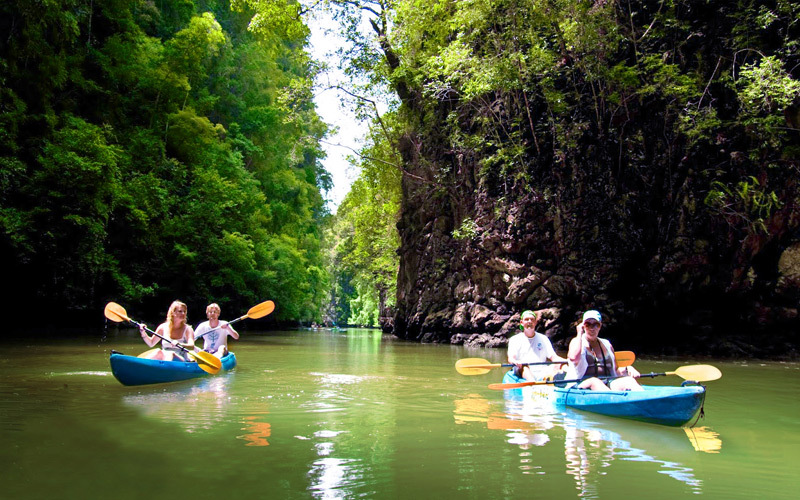 The most famous boat for Krabi locals is longtail boat tour. It is made of woods with roof build-in for sunscreen. The space at the front of the boat is provided for passengers to sit and enjoy the beautiful view of the sea. The back of the boat is used by the boat captain to control the boat. 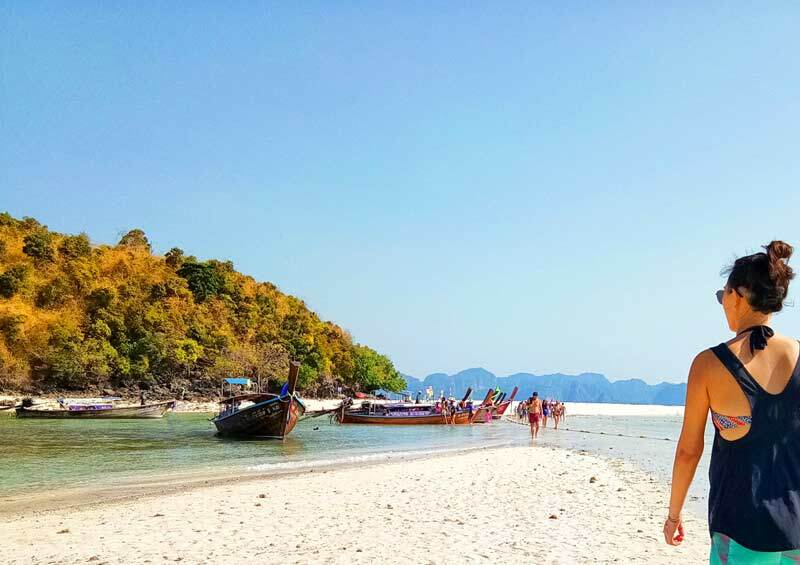 From Aonang, which islands are best for shallow water snorkeling? 1. 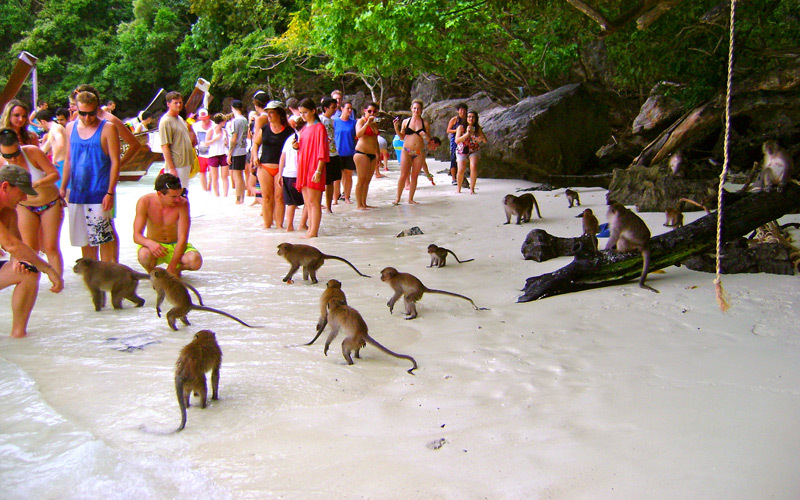 Talay Waek island chain. 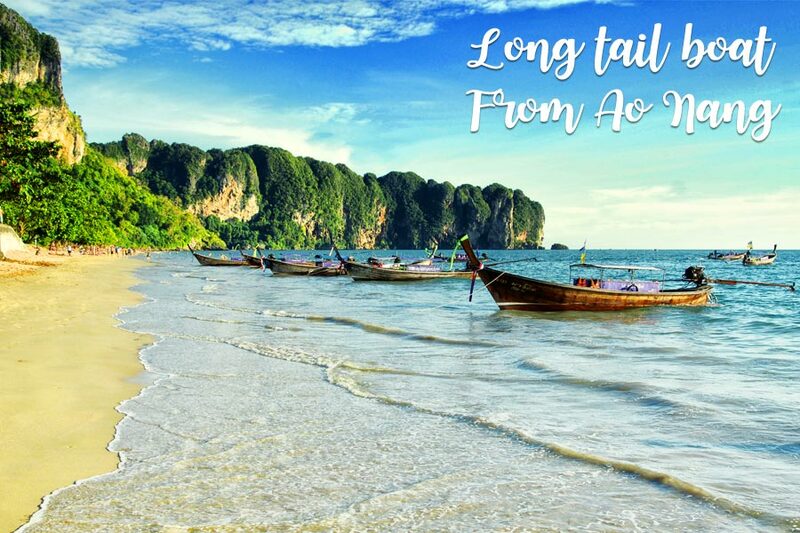 It is 30 minutes apart by long tail boat from Aonang. 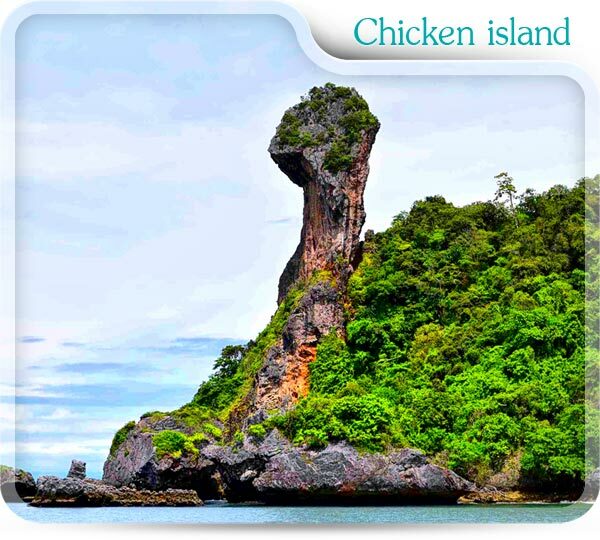 This island group consists of 4 islands which are Chicken island, Tub island, Poda island and Pranang cave. 2. Hong island chain. 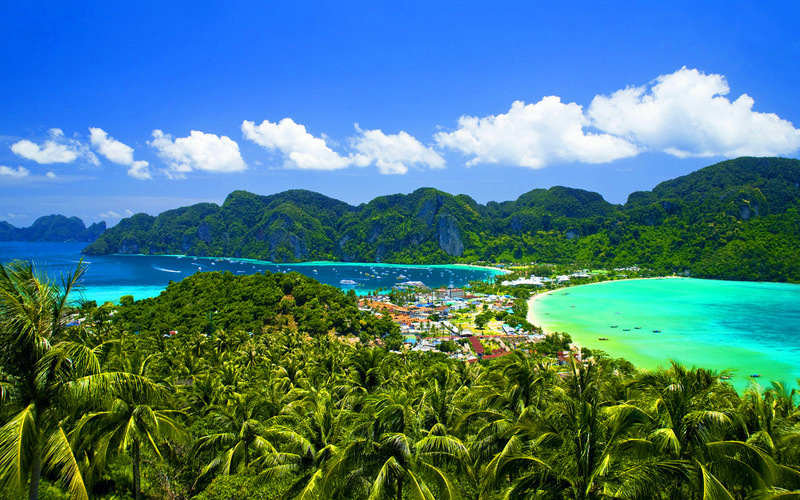 Islands with white sand beach. Not too crowded. 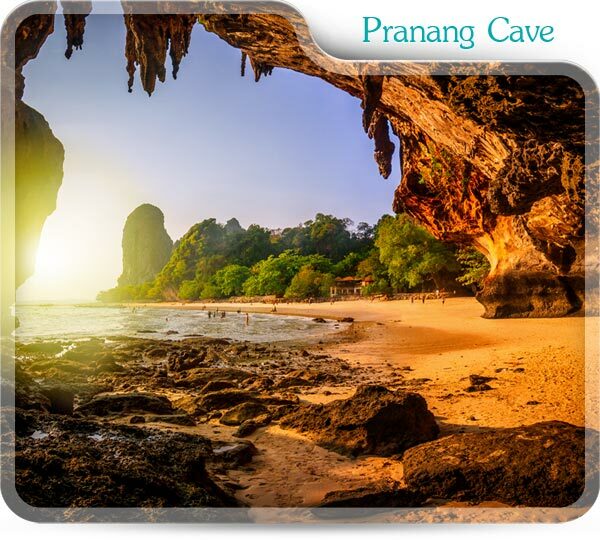 It takes 35 – 40 minutes to travel there from Aonang. 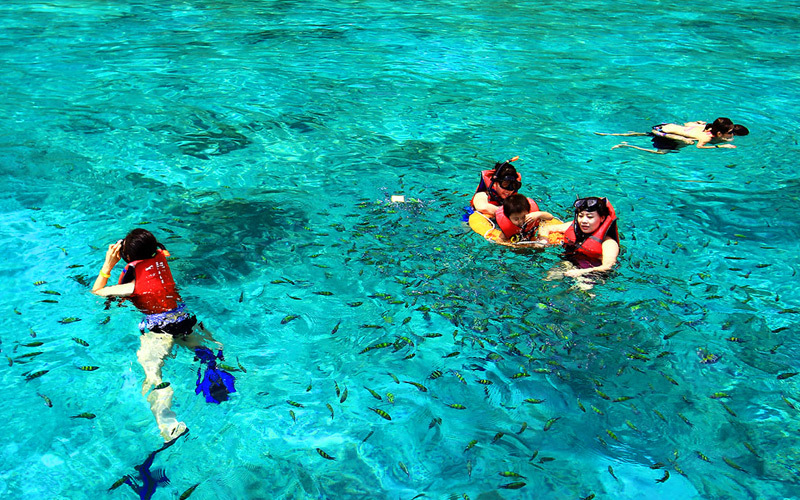 This island group consists of Hong lagoon, Hong beach, Paradise island, Daeng island and Pakbia island. 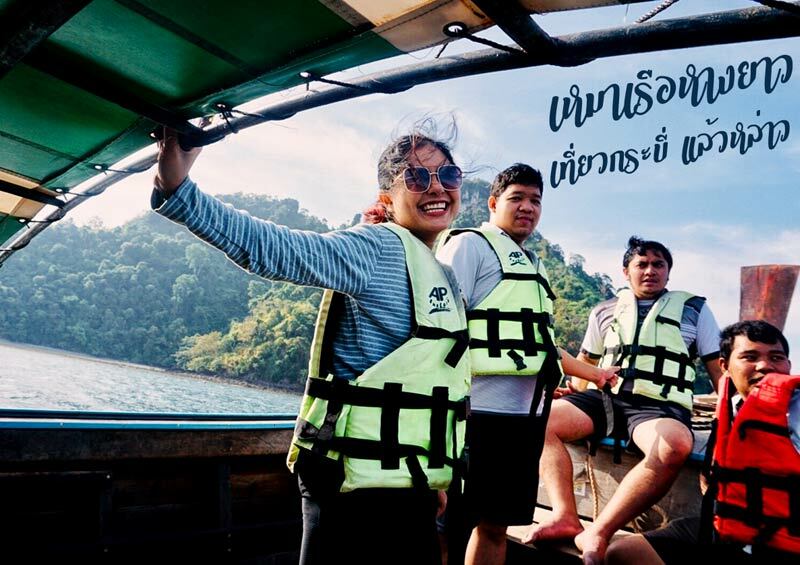 For longtail boat, there are 2 trip packages you could choose from. Private group and join/sharing group. 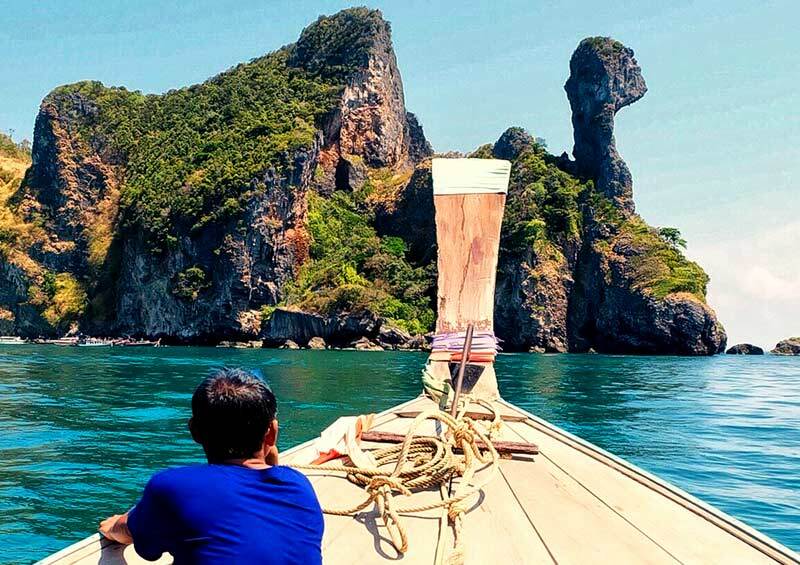 The advantage of traveling with longtail boat private group. 1. You can choose your preferable time to travel the islands. The first trip is available at 7am. 2. You can schedule your time on how long you want to spend on each island. You may want to stay longer on the island you like the most. Or if you do not want to stay long, you can always inform the boat captain to move on to the next spot. 3. Free shuttle bus pick up and drop if you stay at any hotel on Aonang beach. 4. 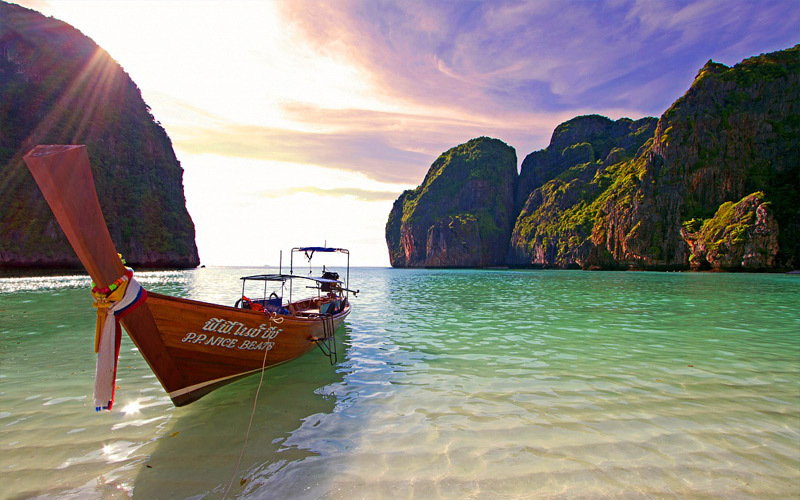 You will be entertained by the boat captain who is well experienced in traveling the sea trip. The captain would advise which spot is the best or which has less people or which has got more fish so you can enjoy the place more. 5. You can choose your own meal. 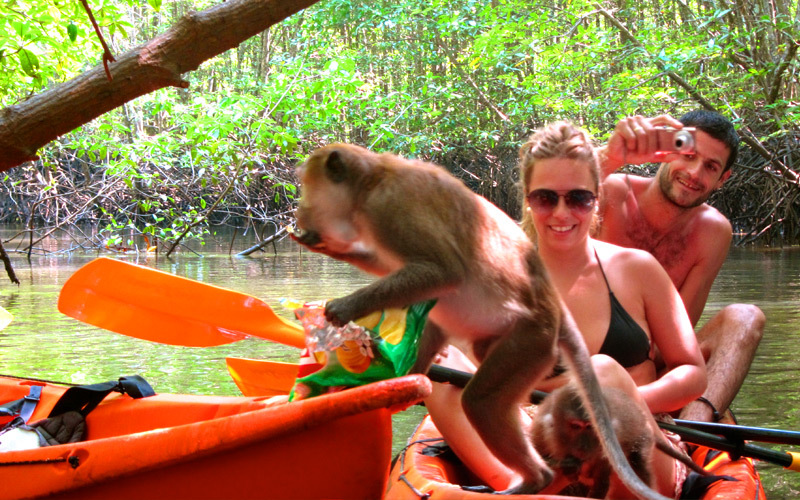 You may want to bring your own food or use our tour services or buy from any restaurants on the islands. 1. Save. The price is inclusive of everything with only one phone ring: lunch, shuttle bus to the beach or port, and tour guide. 2. Enjoy the local tour guide who would entertain you with the information about the places so you could enjoy the trip more, and advise you about the snorkeling tools. 3. Equips you with the specific and clear trip schedule so it helps you plan your trip well. The timing for the shuttle bus, the arrival at each island, and the arrival of the boat back to the port and so on will be informed to you. Please take note that any polystyrene or foam packaging is not allowed on the islands to save the environment. If you bring your own food with polystyrene box, you may enjoy your food in the boat only. If you want to have our lunch service, we prepare the food for you in reusable box so that you can eat on the beach. You may make the payment for National Park entrance fee together with the trip or you can pay it separately to the Park’s officer. We really hope that the information above will be useful for you in choosing the best way to travel Krabi in the way you enjoy the most, for your most memorable trip in Krabi. 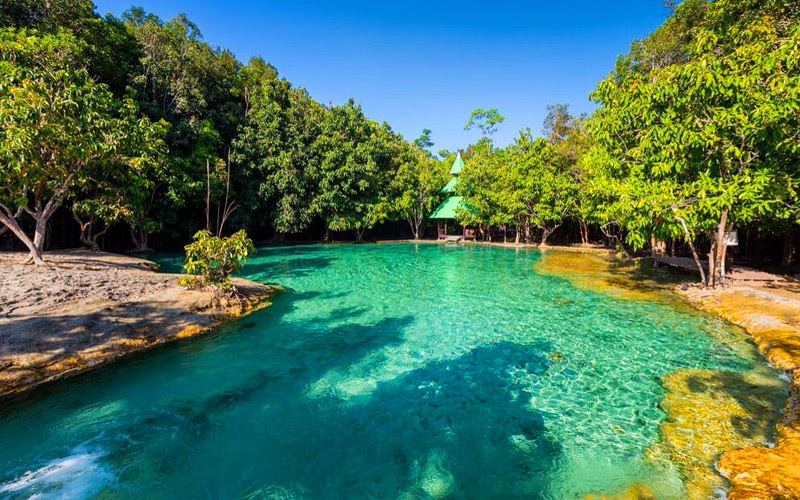 Emerald Pool This is one of our top suggestions for place you should go in Krabi, Thailand and the number one recommendation for enjoying the underground natural springs that flourish in Krabi province. Emerald Pool it is cool water that is just heavenly to swim. 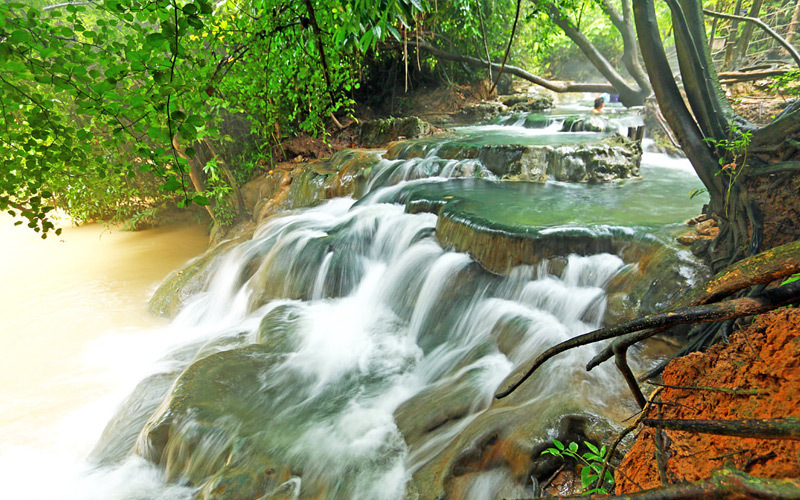 The water is replenished by a natural streams running into the pool from freshwater sources on the hill above. Hot Spring water fall it?s a natural Jacuzzi. 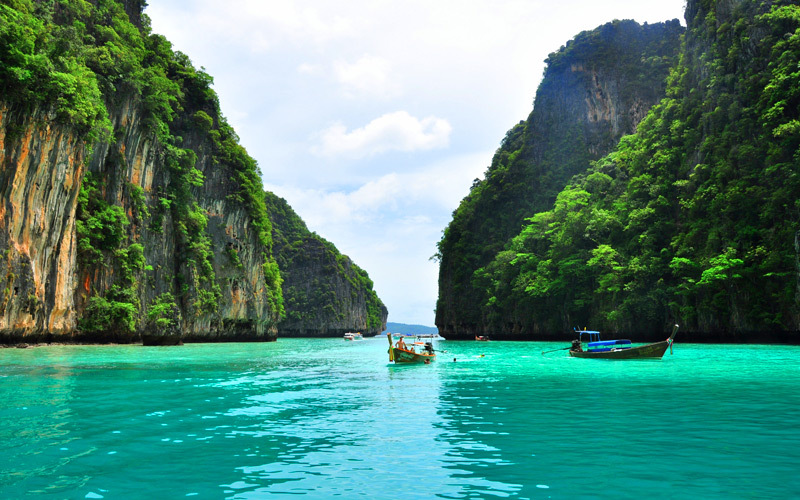 Copper in the water gives the stony deposits a dark green color and surrounded by the green jungle. The place is simply relaxing. The water is a constant 35 degrees and is provided by several hot springs which combine into a river which flows down a waterfall. There is also an area of man-made pools that are fed by the same water. These have very easy access so that even people with limited mobility can enjoy the waters. Tiger Cave Temple The main attraction in the temple complex is the 1,237 step climb up a limestone tower to see the “footprint of the Buddha”. 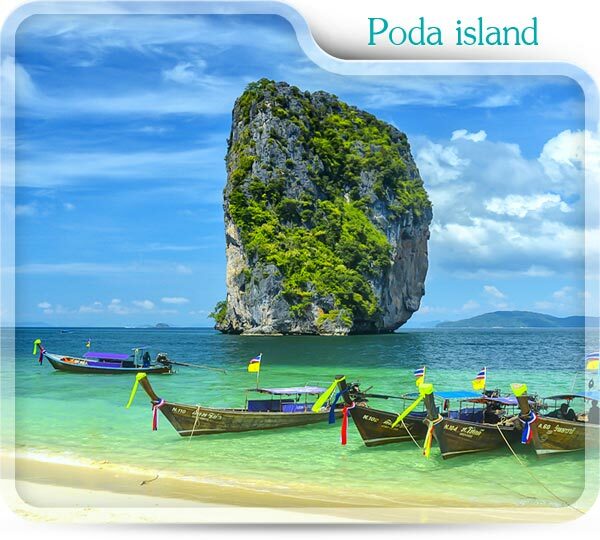 And when you arrive to the top you will see all view of krabi town and some part of Andaman Sea. – 8.30-8.45 am. 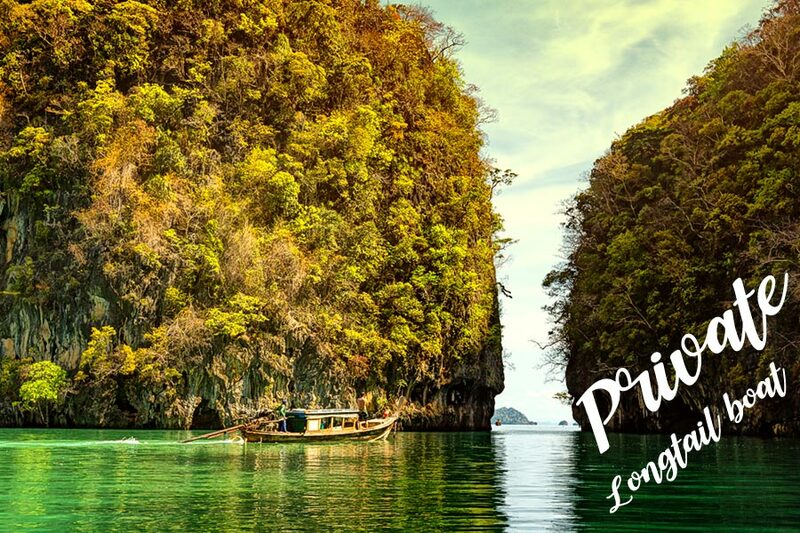 : Pick you up from your hotel in Aonang or Krabi town. 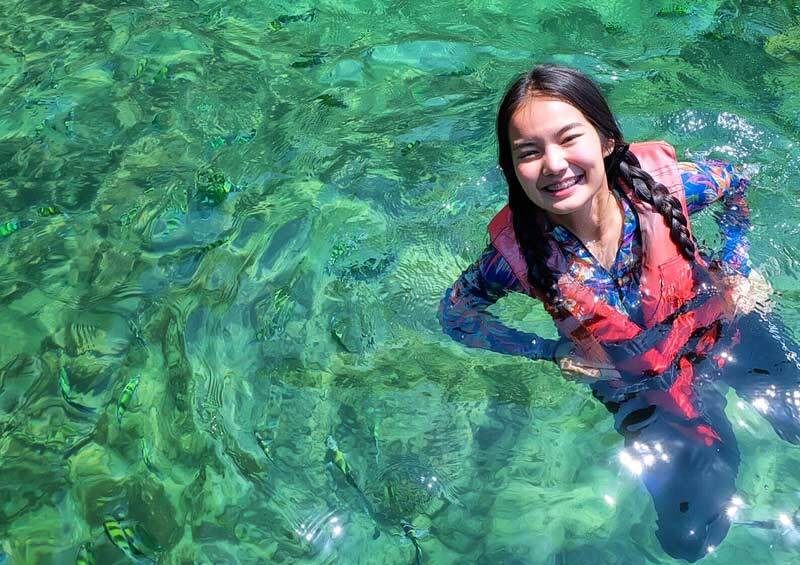 – Visit Emerald pool, a natural fresh water pool in jungle where you can get refreshed by swimming in the pool. – Enjoy traditional thai lunch at restaurant. – Visit the Tiger Cave Temple (Please wear proper dress in temple). Arrive at the temple, visit a meditation center in south of Thailand. 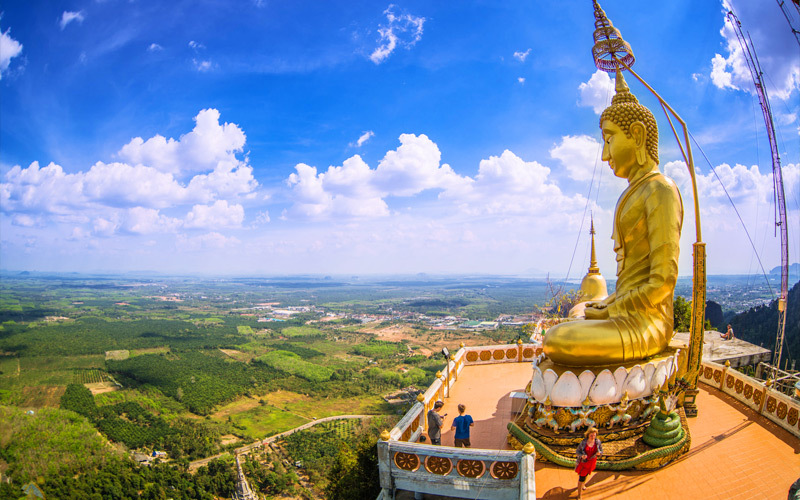 Here you can explore Buddha images, giant trees and temple pagodas. – 15.30 pm. Return back to your hotel. Rough terrain Shoes, Swimming Clothes, Insect repellent, Camera, Towels and some budget money. 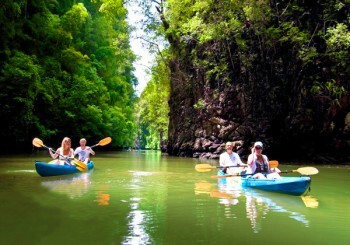 Bor Thor : Is kayaking place belong to Ao luek district at Krabi province. 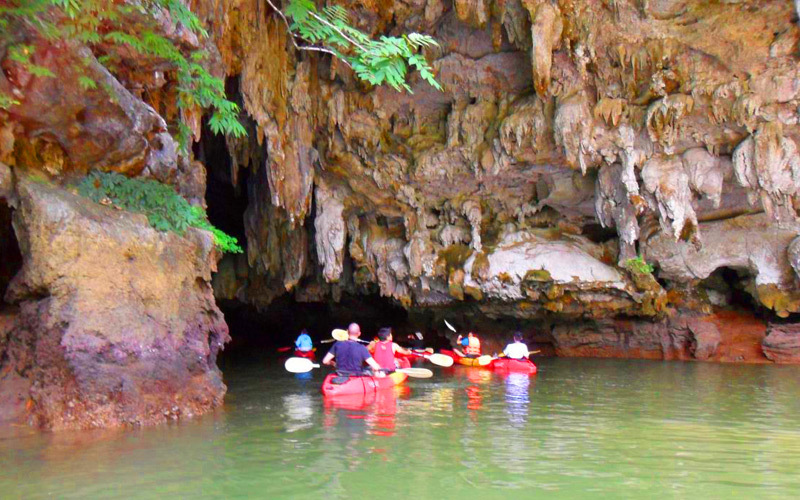 The area is a National Park in which there is a complex system of rivers, Kayaking in to the tunnels. And See Prehistoric painting on the wall cave. Hilight there is Tham Lod and Pee Hua Toh Cave? 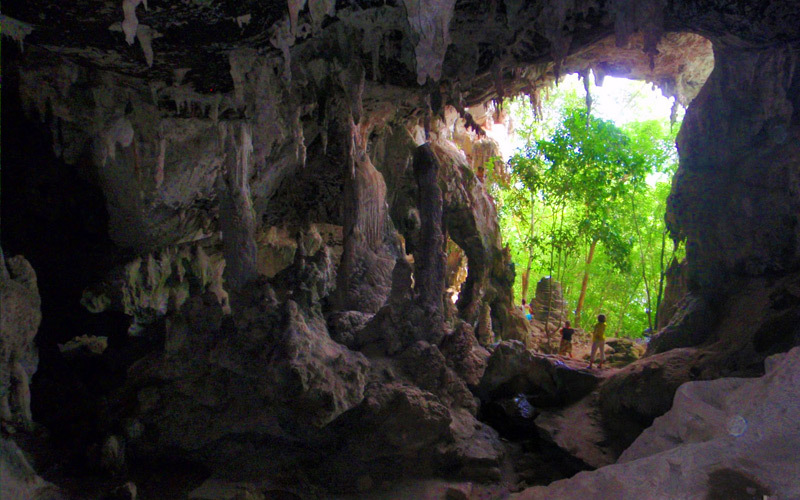 Lod Cave is Sea cave where you will witness some stunning limestone formations. 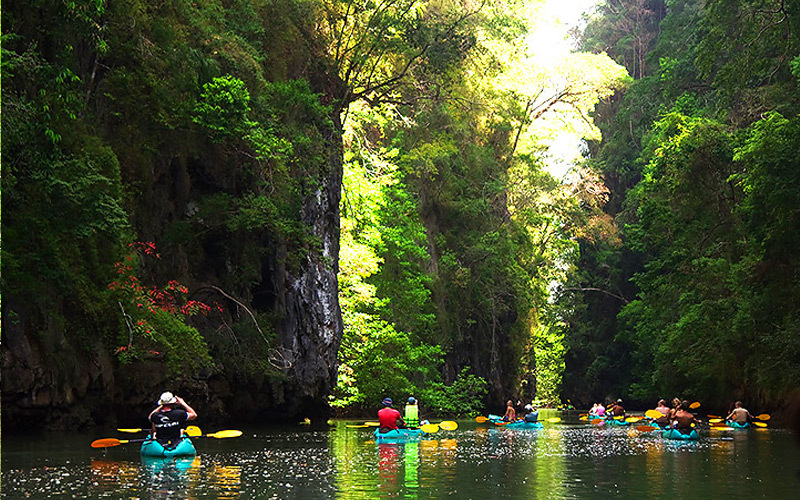 Can go in side by kayaking. So in side there have fantastic stalactites and stalagmites. Pee Hua Toh Cave is interesting cave. Prehistoric paintings still waiting for explore visitors, in ancient cave believed over than 3,000 years. Reach there by walk after kayaking. 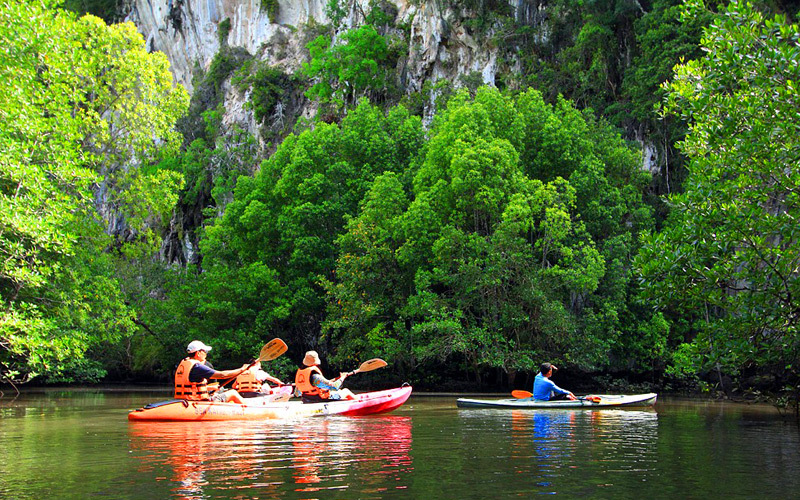 2.Full day Borthor kayaking & Elephant Trekking. 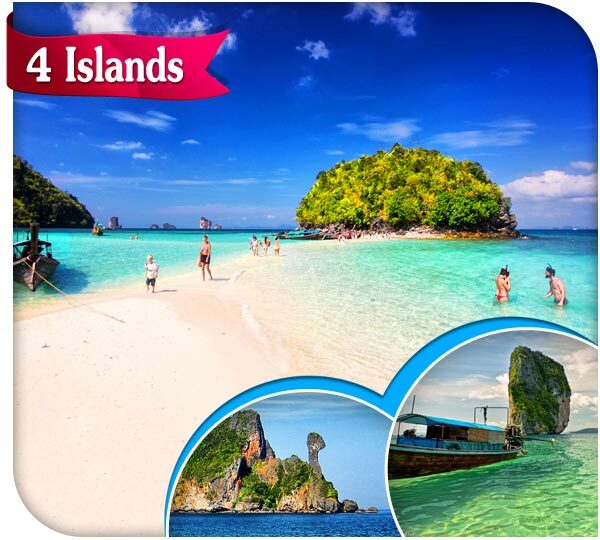 Hong island : Krabi is one of the provinces in Thailand that has got many islands. 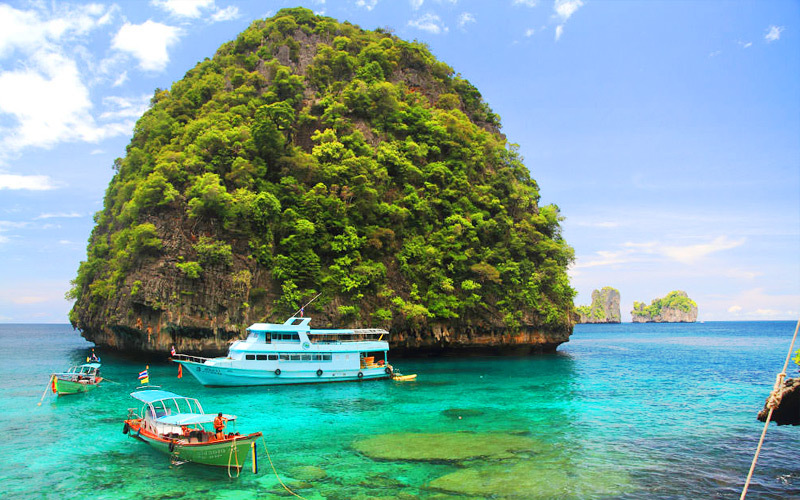 Part of the National Marine Park, Hong Island ( Koh Hong ) is considered one of the most beautiful islands in Krabi. 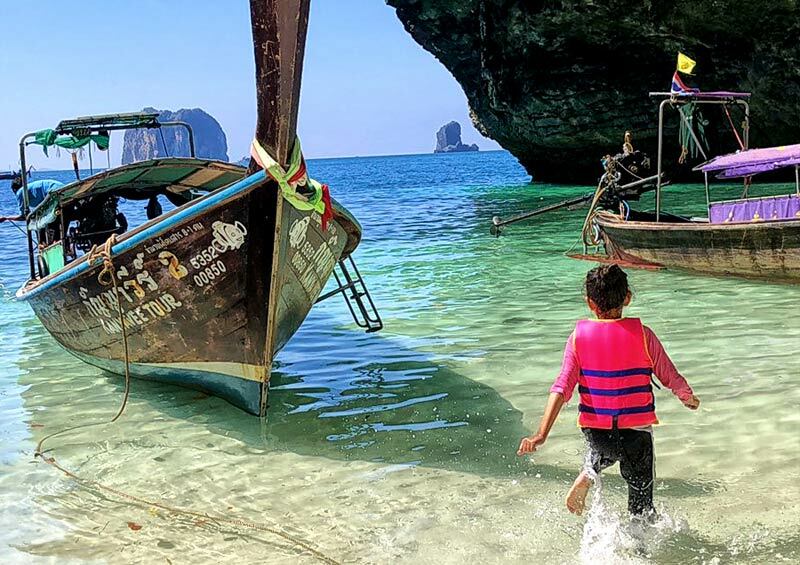 A lot of tourist travel to Krabi seeking to visit Hong island chain, the group of islands that are well known in being one of the most peaceful and beautiful. 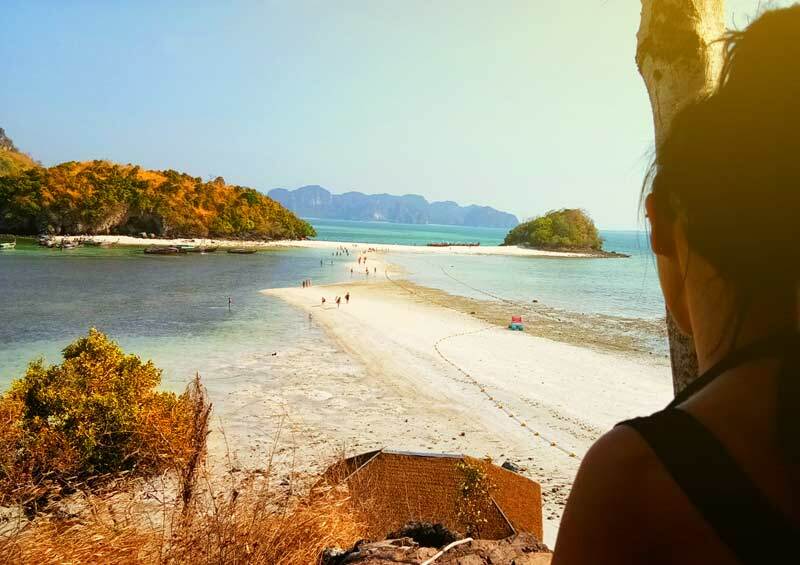 It is good for those who love sunbathe on a white sand beach far from the busy activities of the crowded town. 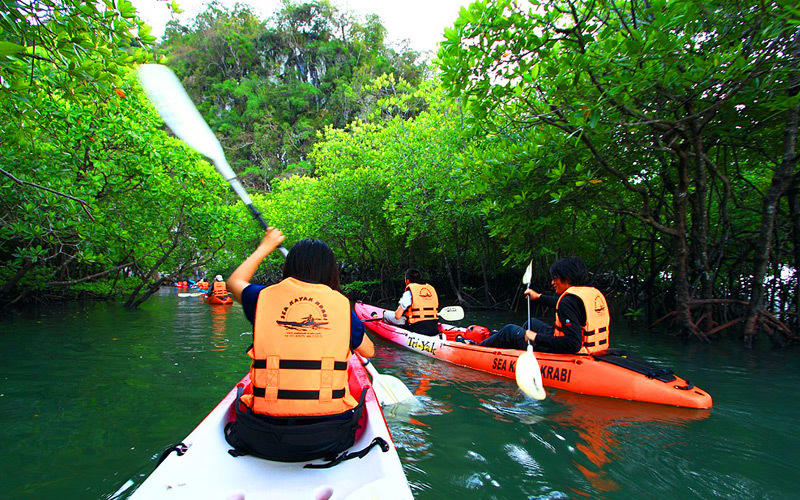 You can enjoy kayaking in Hong lagoon that are provided by many tour companies. 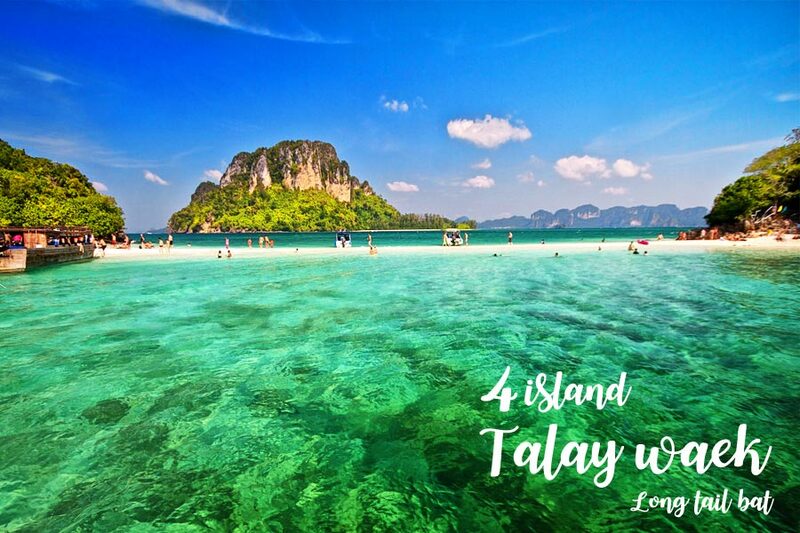 Exceptionally beautiful island and Spectacular Lagoon. Hong island, by boat right into the very heart of the Island to Hong’s lagoon, an amazing lake with tree covered cliffs climbing up all around. 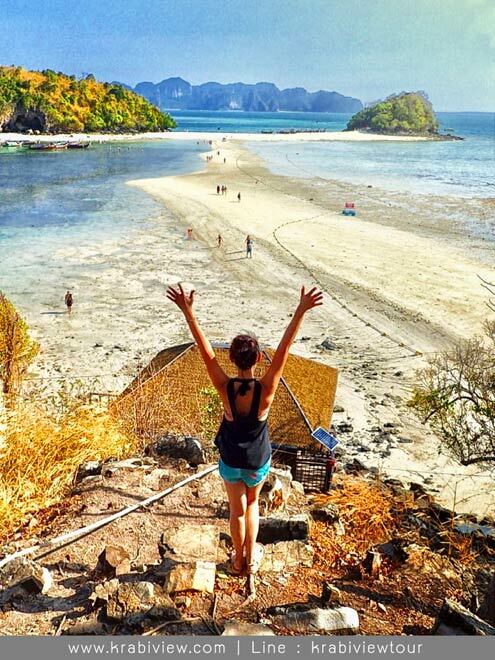 Then to Hong Island Bay, beautiful beach with white sand. 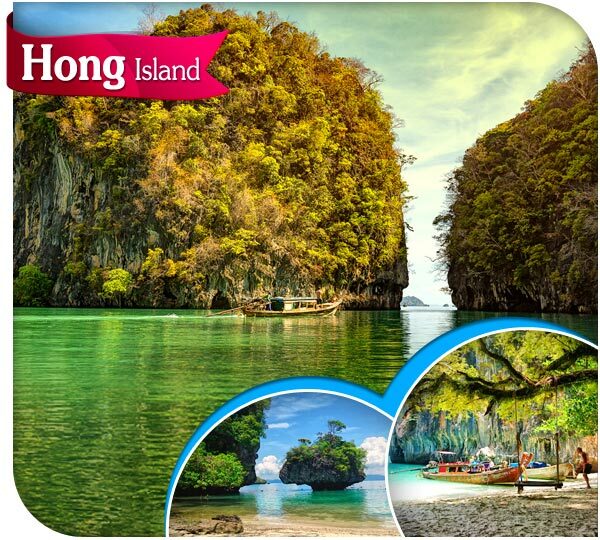 Hong island is divided into 2 parts which are Hong island beach and Hong isalnd’s lagoon. 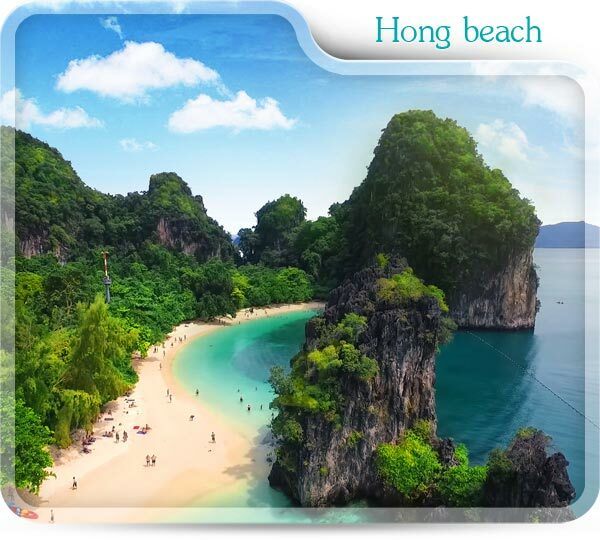 Hong beach is wide and good for sunbathe. Part of it is also shady. Suitable for sitting and relaxing while enjoying the beach view and perfect for swimming snorkeling. 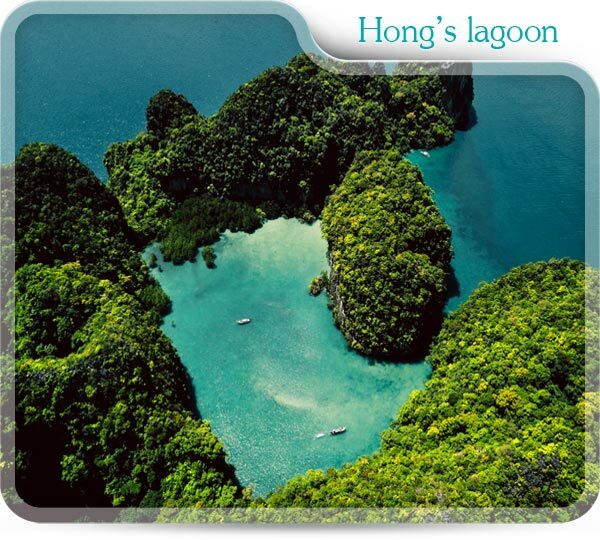 Hong’s lagoon is where the island’s name comes from. Hong in Thai means “room”. 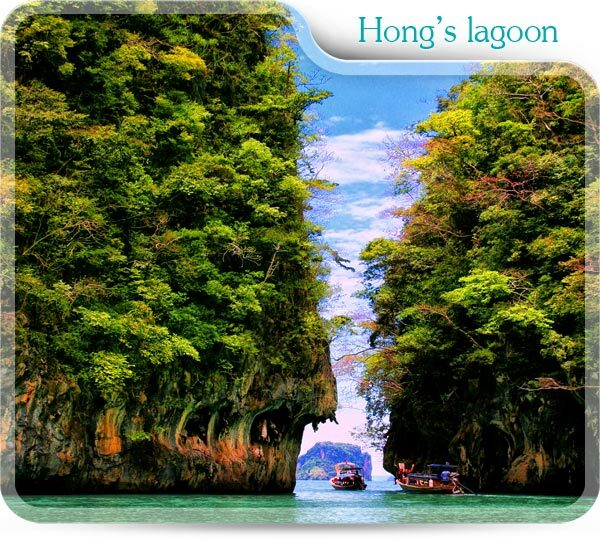 The lagoon looks like a huge hall in the middle of the sea covered by walls of steep rocky hills of the island. 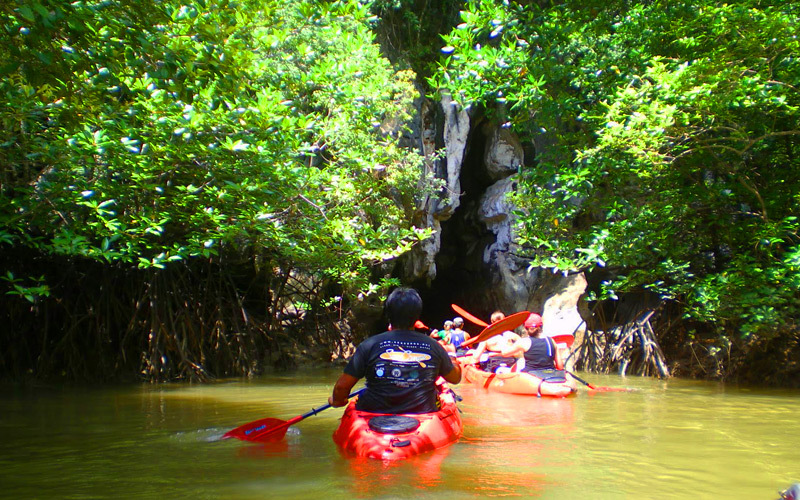 Through a dramatic cliff passage is the only one way to access the lagoon. It is so named Hong, or room. 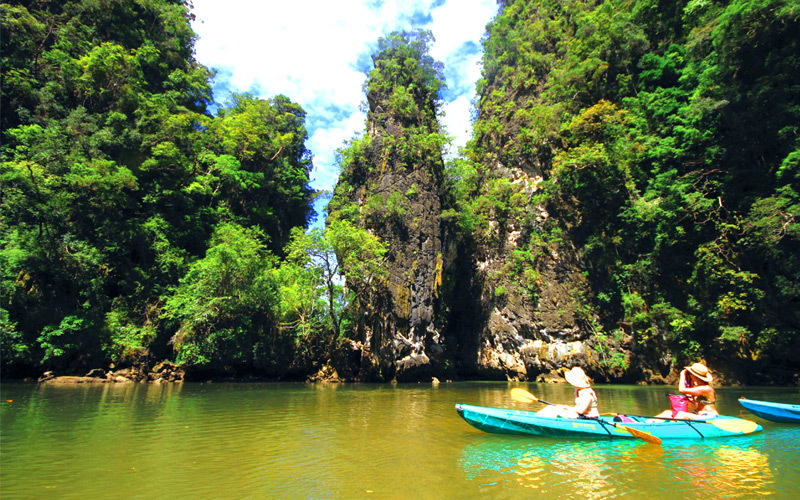 Ko Hong lagoon is best accessed by kayak at low tide to take pleasure in its shallow emerald green water, only a few inches deep. Long tail boat can only enter around mid-tide when the water is around chest level. To get the best pictures, the dramatic cliff passage should be photographed on your way out. 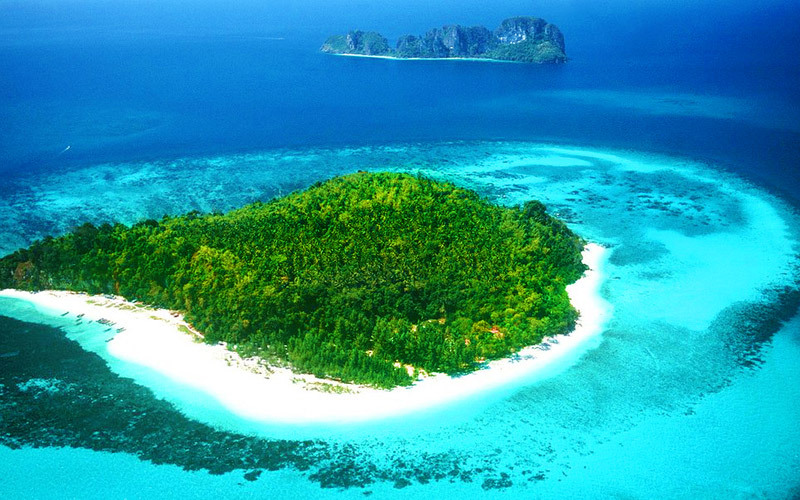 This is a small island that has got bird’s nest concession. 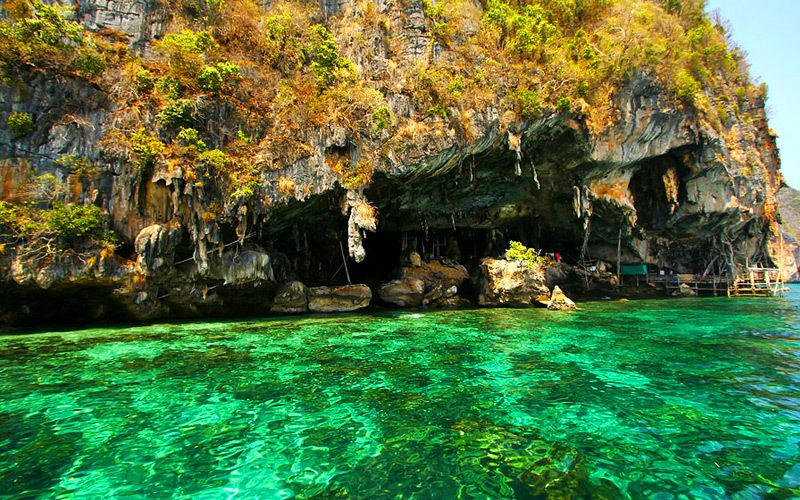 (We are unable to visit the martin nesting cave because of the ownership of private companies.) We will bring you to view the quiet and peaceful atmosphere on this island. 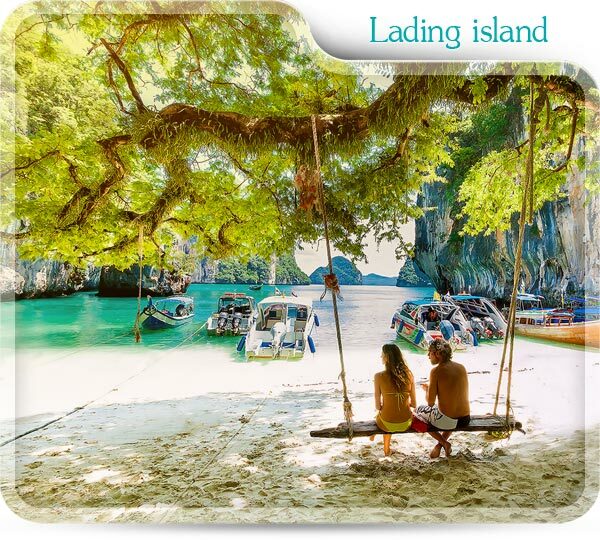 Krabi people call this island “Koh Lading”. 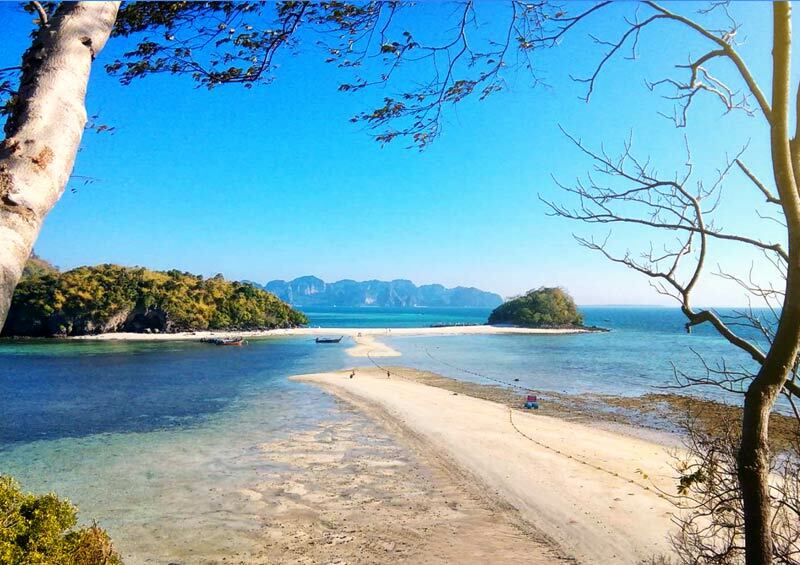 But foreign tourist call it Paradise island because Lading is too difficult to pronounce and because of its peaceful environment as in the paradise, the tourist then call it Paradise island. 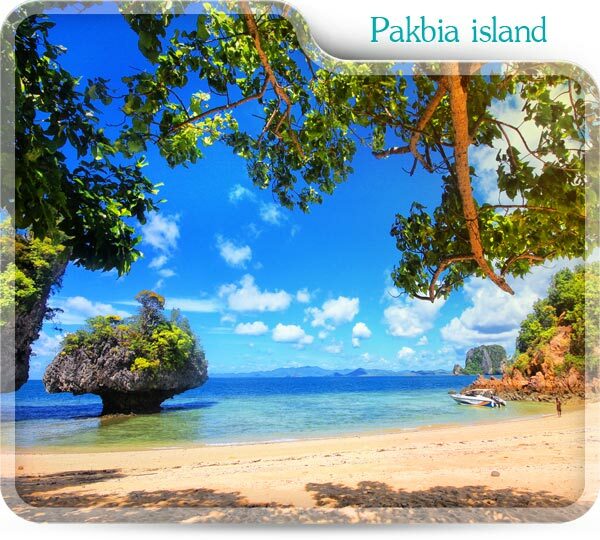 The Pakbia Island is a small island in Hong island chain. 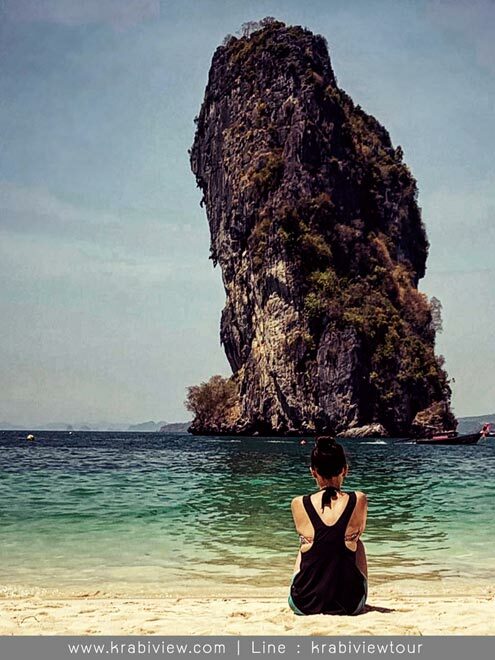 The island is formed by limestone. With it’s countless rocky outcrops. So, it makes the island looks like a garden full of mushrooms emerge from the sea surface which can be seen clearly during the low tide. 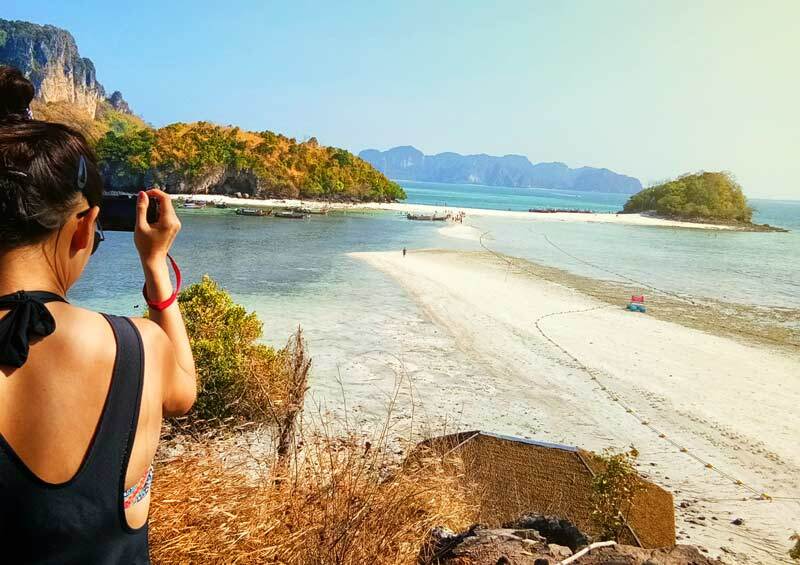 Furthermore, further north of Hong island, both Pakbia island and Rai island have impressive sandbars revealed at low tide which connects the two islands. 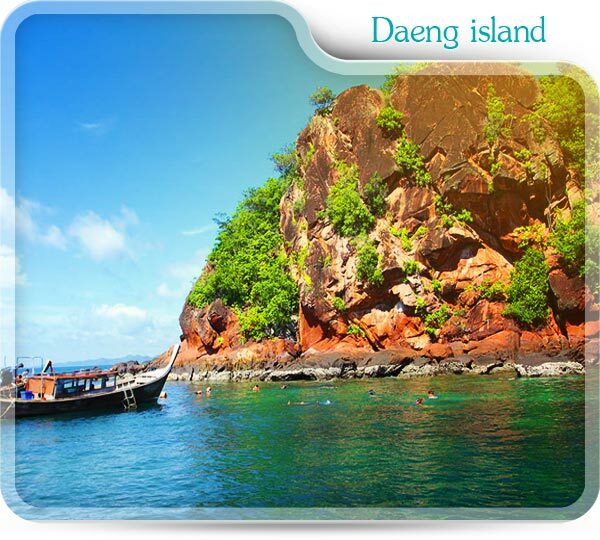 Red island or Daeng island is named because of its color that looks like a pile of brown-red stones in the middle of the sea. 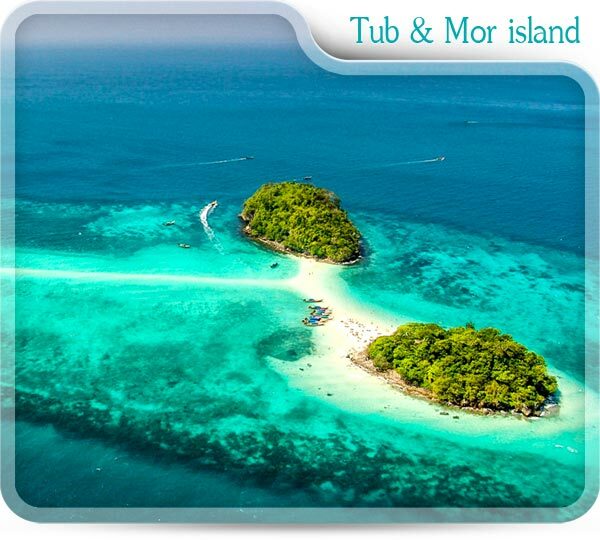 It is located between Lading island and Hong island. 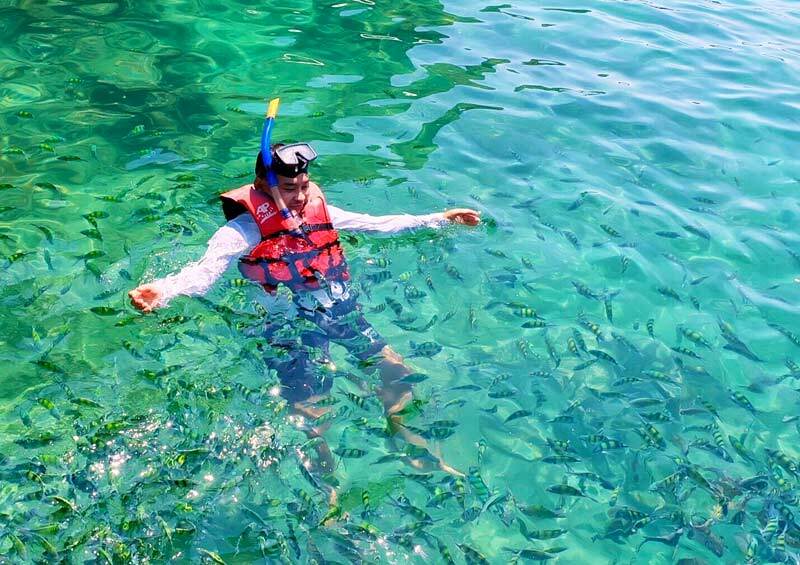 Daeng island has got a clear water full of all kinds of sea creatures which makes it one of the best shallow diving spots. 08.30 am. 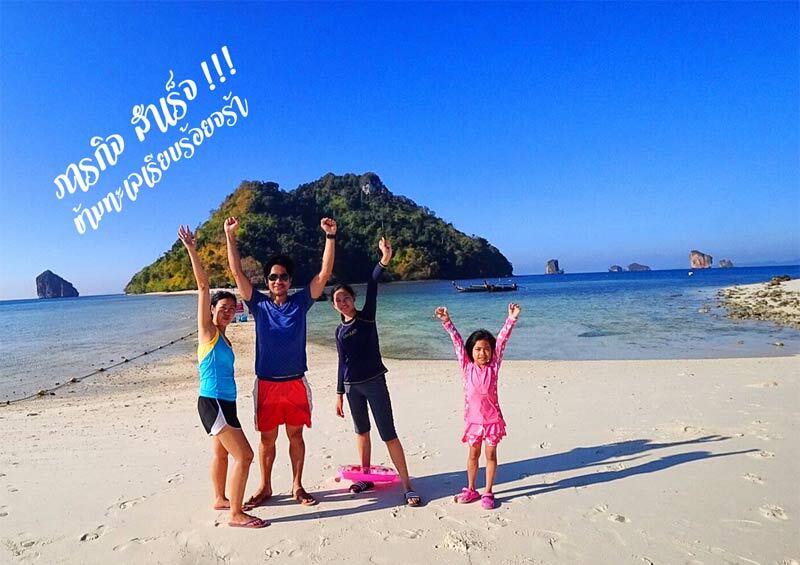 >> Pick you up from your hotel in Ao nang or Krabi town. 09.00 am. 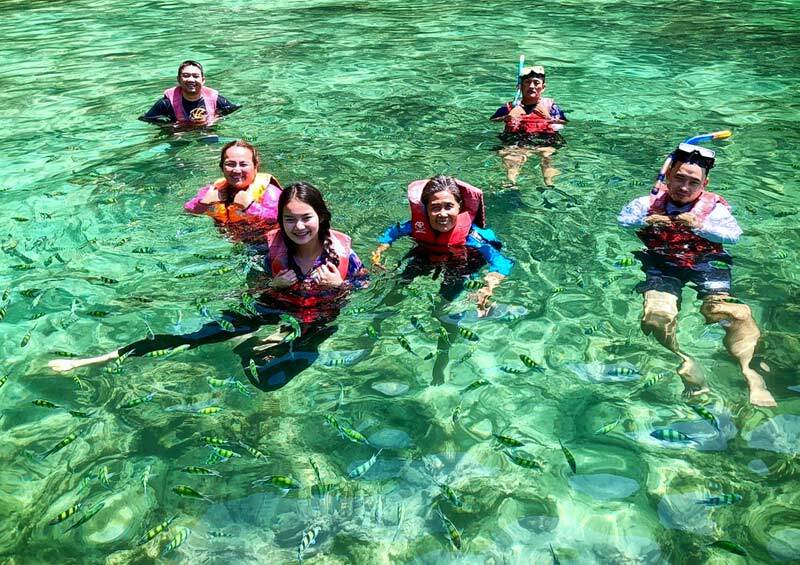 >> Transfer to Hong Island Group Arrive in Hong Island, your guide demonstrates the best way to snorkel and explains where the best place for snorkelling. 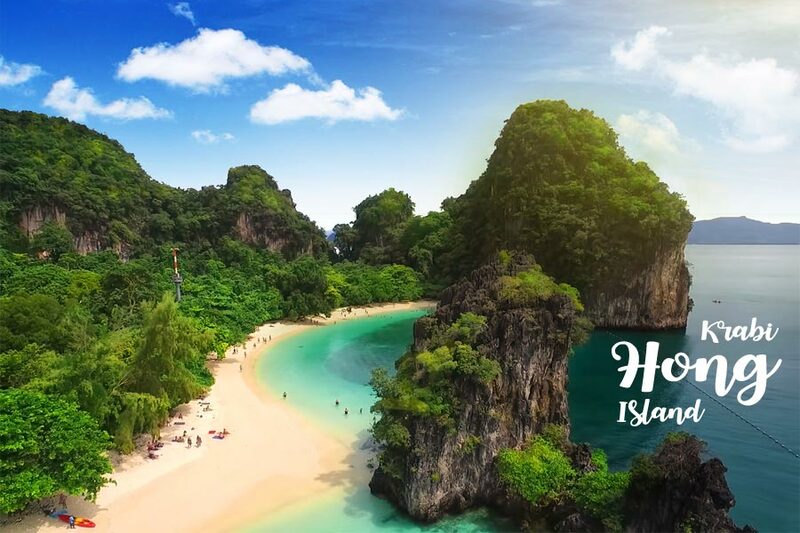 Guided sightseeing to see the exotic highlight of Hong Island, including the Hong’s Lagoon a fantastic sea lake with towering limestone cliffs on all sides. 12.00 am. >> Enjoy picnic lunch on the beach. 01.00 am. 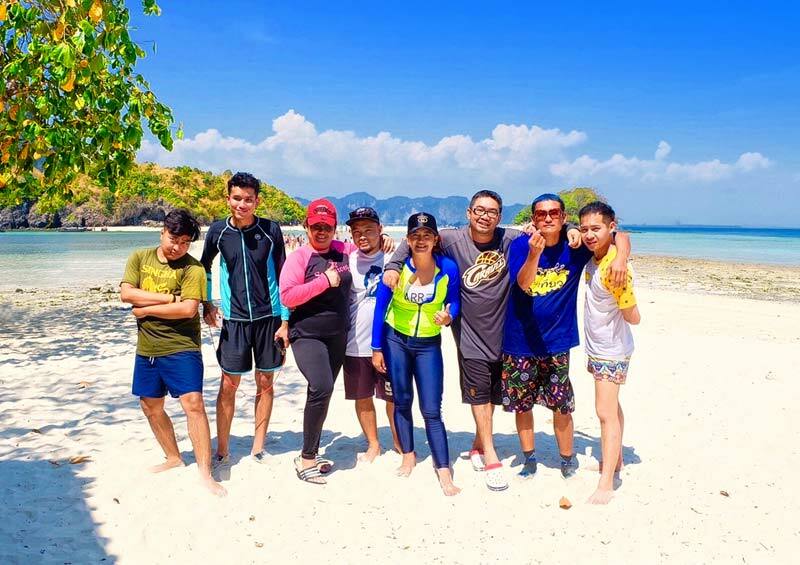 >> After transfer to “Lading Island” ( Paradise Island ) for sightseeing and snorkelling to discover wonderful underwater stones. 02.00 pm. 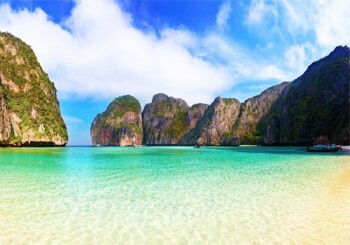 >> Return to Ao nang Beach and Transfer to your hotel.